While thousands are impacted by what’s being called the ‘100 year-flood’ in the state of Louisiana, President Obama does not seem all too affected by the crisis situation. With now 11 people dead and 40,000 homes damaged, Obama just can’t seem to get away from the golf course, as he spoke with emergency officials while at his vacation spot in Martha’s Vineyard, Massachusetts, according to the Washington Times. The White House said Mr. Fugate “briefed the president on the resources that have been provided to support the response and recovery.” Mr. Obama directed FEMA to use “all resources available” to help in the recovery. Still, there has been no change in travel plans with no scheduled visits to the state as flooding in the Southeast region finally starts to subside. 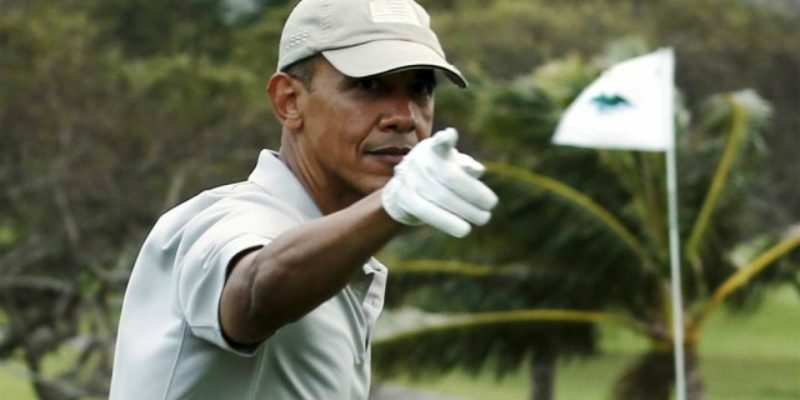 Obama is now playing his eighth round of golf since arriving on vacation on August 6.